This 31mm. 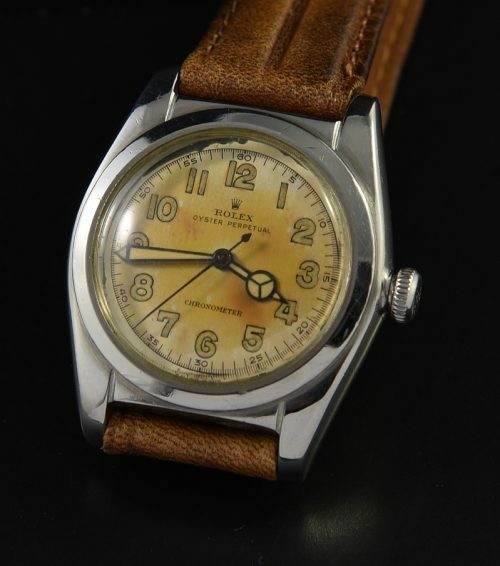 stainless steel ROLEX BUBBLEBACK from the 1940’s features a beautifully aged original dial and Mercedes handset. The original winding crown is operating smoothly. The steel case does not have any major dings and looks great. The automatic winding ROLEX bubbleback NA movement was just cleaned and is accurate. This is a great looking example. $2995.